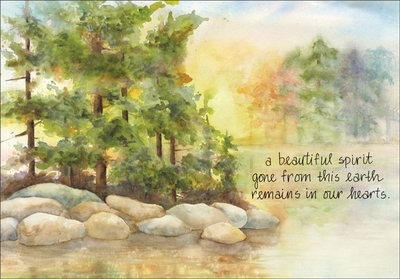 Lakeshore and pine trees are featured on this beautiful watercolor design. A meaningful verse is a gentle reminder that our loved ones remain in our hearts. 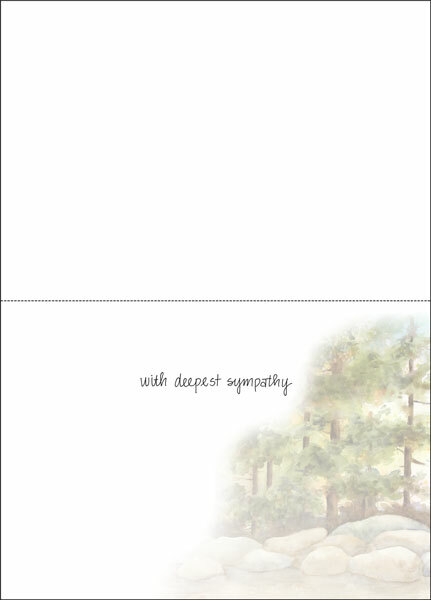 Express your sincere sympathy with this greeting card from it takes two.